High Peaks Pure Earth presents a guest post by Thubten Samphel*. The guest post is a book review of “The Tibetan Suitcase”, by first-time novelist Tsering Namgyal Khortsa. “The Tibetan Suitcase” was self-published in April 2013 and was featured on the most recent High Peaks Pure Earth Summer Reading List. Tsering Namgyal Khortsa is the fourth exile Tibetan to tackle the novel form in English. In fact, the reviewer Thupten Samphel was the third exile Tibetan to write a novel. In this interview published on Phayul.Com, Tsering Namgyal Khortsa talks to poet Bhuchung D. Sonam about his motivations for writing a novel. Our thanks to Thubten Samphel for submitting this review. Keep up with author Tsering Namgyal Khortsa on his Twitter feed: https://twitter.com/tibetanantlope And check out his other publication, a biography of the 17th Karmapa. If you are looking for a page-turning and stomach-churning tale of magic and mystery in Tibet, you won’t find it in Tsering Namgyal’s “The Tibetan Suitcase”. His debut novel seems a form of meditation on the idea of Tibet, an idea which both repulses and attracts. The highly educated characters who people Tsering Namgyal’s novel are disgusted by Tibet’s new rulers but drawn to it by its timeless wisdom. 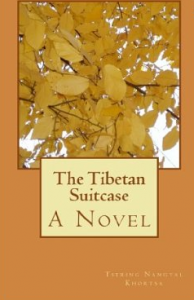 As such “The Tibetan Suitcase” offers no entertainment or light-hearted moments of good cheer and levity. It is one Tibetan writer’s explanation of what it means to be a Tibetan working and living in a globalised world, who, like most Tibetans born in exile, has never seen his homeland. “The Tibetan Suitcase” seems an attempt by Tsering Namgyal to understand Tibet, its present tragic fate and its culture as understood and interpreted by the West. In any culture, loss, exile and alienation are the real stuff of literature. In gifted hands this loss is transformed into victory for the enduring human spirit to overcome adversity. In Tibet’s case, this loss has produced a stream of autobiographies. 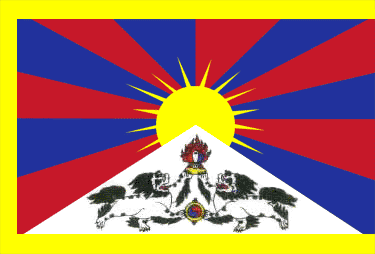 His Holiness the Dalai Lama led the way with his “My Land and My People”, followed by Rinchen Taring and her “Daughter of Tibet”, Chogyam Trungpa and his “Born in Tibet” , Dawa Norbu and his “Red Star Over Tibet” and autobiographies by many other high Tibetan lamas and scholars. All their works have been translated into English or have appeared primarily in this language. This was Tibet’s attempt to tell its story to the world in the hope of getting some kind of justice. In their books, the Tibetan lamas and scholars grappled with the sudden, precipitous loss of Tibet, the heavy-handed occupation, the unprecedented suffering inflicted on the Tibetan people and the inevitable concern of what would become of Tibet and its rich and distinct identity. Concern about the survival of Tibetan culture drove the Tibetan exiles into translating Tibetan Buddhist texts into English and other languages. This effort, still going on, is on an industrial scale, comparable to the effort ancient Tibetans put into transmitting and translating Buddhist texts to Tibet and into the Tibetan language. This stupendous effort began more than a thousand years ago and was spread over five centuries. This effort of the ancient Tibetans made Tibet what it is: the messenger of an ancient wisdom to the modern world whose modernity is based on consumerism and more consumption. Similarly, the result of the Tibetan exiles’ translation effort and the ‘Dharma industry’ it has spawned is best described by Khenchen Sangpo, a pivotal character in “The Tibetan Suitcase”. He says, “For all its agony, anguish and indignities, ours is a glorious escape – we transformed the world through our departure from Tibet”. In Dharamsala, the capital of exile Tibet, the ultimate pilgrim destination for the masses in Tibet “yearning to breathe free,” and the temporary beyul or secret valley and refuge of all those alienated by what they perceive as a world gone badly wrong, our narrator lands up with “an old leather suitcase.” A treasure trove? A family inheritance? Terma, ancient Tibetan Buddhist wisdom buried and discovered? Maybe all three. The suitcase reveals a bunch of correspondence that understandably wants to reincarnate as a published book. Implicit in handing over the suitcase to our narrator is the understanding that he, as an established writer, who by his own admission during his graduate days in Taiwan “had pretty much read the library” of his university, would have these stories published. The stories in the suitcase belong to Dawa Tashi who lives in a “borrowed homeland” and writes in a borrowed language, in his case, English and is told sternly by Professor Khenchen Sangpo, his mentor, to “seek asylum in pages.” He does seek asylum in pages. This explains the suitcase full of his letters. But he goes one step further. Dawa Tashi becomes a recluse in a Tibetan monastery in upstate New York! As the correspondence in the leather suitcase reveals, Dawa Tashi lives in three worlds: Tibet, the West and his exile world. Khenchen Sangpo, 79, the torch-bearer of Tibetan culture, personifies Tibet. The West is represented by Iris Pennington, who, having caught the Tibet bug, is pursuing a doctoral studies in Tibetan Buddhism at a fictionalised Appleton University in America. Exile Tibet is represented by Dawa Tashi, a brilliant student who is pursuing a creative writing course at the same university. A thing about “The Tibetan Suitcase” is how very little there is in it about India. The smell, the colour, the monsoon deluge, the teeming masses, the loud human interaction, all are little mentioned or not at all. Despite these minor distractions and in spite of its slow-moving, almost meditative prose and plot, The Tibetan Suitcase is a major achievement by a young talented writer who in his first novel seems to be holding back more than he is willing to tell. Tsering Namgyal explores and explains the psychology of exile-born Tibetans and with great empathy articulates their frustrations, anger and hopes for themselves and for Tibet. Some of the phrases he has coined, seeking asylum in pages, borrowed homeland and Tibetan rage in pages will endure to define his generation of Tibetan exiles. Tsering Namgyal, one of the singularly committed exile Tibetan writers, has years and years of writing life before him and with persistence he and other Tibetans who have chosen the noblest of professions could unleash the spirit and energy that would take the world by storm, literally.